It’s the second week of the OWL’s Readathon! I’m so excited to finally participate in my first ever readathon – and I’m so glad it’s this one! I’ve never participated in a readathon before, mostly because of the time it often takes up. Since this one lasts the whole month, I thought it was a good way to build my TBR around. So, I’m giving it a try! This readathon is based on the OWL exams that the Harry Potter characters take in April. To participate, you pick a Hogwarts career and complete the challenge prompts for your chosen career! For my wizarding career, I decided to go with Hogwarts Professor. Since I’m a teacher, I figured this is a good fit! Plus, I liked the freedom of choosing the prompts I like the most. It made choosing my TBR pretty simple, which is always good! To become a Hogwarts Professor, I need to take Defense Against the Dark Arts, a subject I’d like to teach, and five other courses of my choosing! So without further rambling, let’s take a look at the courses I’m taking and the prompts that go along with them! Defense Against the Dark Arts // Reducto: Read a Book that Starts with ‘R’ // Reign of Shadows has been on my TBR for quite a while, so this seems like the perfect time to read it! Muggle Studies // Contemporary // Since We Last Spoke is a book releasing today (yay). I happen to have an ARC of it, so I’m choosing it as my contemporary read! It’s also fairly small so I’m hoping it will be a quick read! 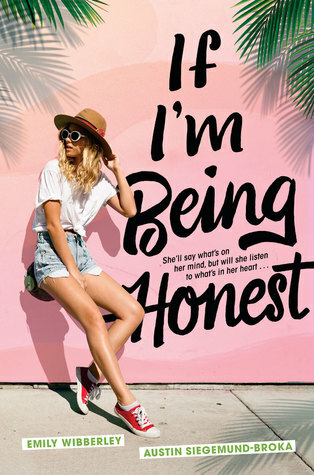 Ancient Runes // Retelling // If I’m Being Honest is a contemporary retelling of The Taming of the Shrew! I love this cover and it’s been on my radar for quite a while!! Arithmancy // A Work Written by More than One Author // Okay, okay! It’s finally time for me to actually sit down and read Illuminae. I’ve started it a couple of times, and just haven’t finished. Here’s the opportunity to just get it done! Charms // Age-Line: Read an Adult Work // I’m so excited to FINALLY read my first Christina Lauren book. I’ve heard great things about their books and I’m totally in for a romance read this month! Potions // Next Ingredient: Sequel // I am so stoked to read The Bride Test. I was lucky enough to be sent an ARC and I just hope I love it as much as The Kiss Quotient! Transfiguration // Sprayed Edges or Red Cover // I haven’t had an opportunity to read any of V.E. Schwab’s books yet. But this is the perfect opportunity. I really hope I love this book as much as other people do! Well, that’s my ambitious TBR for my first ever readathon. I’m really excited though. Let’s check back at my monthly wrap-up to see how well I do! If you’re participating please let me know down below! What career did you choose? Have you chosen your TBR yet? Any tips for participating in a readathon?